Dakar International Airport is the largest airport in Senegal. Its international code (IATA Code) is DSS. This is the one on your luggage labels when you take a flight to Senegal. 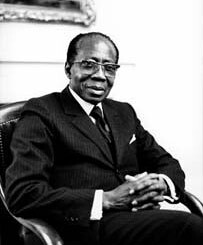 It was renamed Leopold Sedar Senghor International Airport after the father of Senegal Independence and first President of the Republic (photo). This is one of the fastest growing airports in Africa: it ranks in terms of number of passengers at the forefront of WAEMU airports, the second largest (after Johannesburg) of subsaharian Africa airports. Its terminal is set in the town of Yoff and its tracks occupy a large part of the northern Cap-Vert peninsula between the towns of Ouakam, Ngor, Mermoz and the SICAPs. The reception of departing and arriving travelers makes of Dakar International one of the nicest airports in West Africa. Accessible sanitary facilities, shops, parkings, bars and air-conditioned halls allow passengers to wait for their flight in the best conditions. 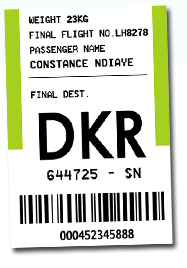 With a flight punctuality greater than 90%, the Dakar international airport will guarantee a seamless aerial experience !